World-class signal transmission. 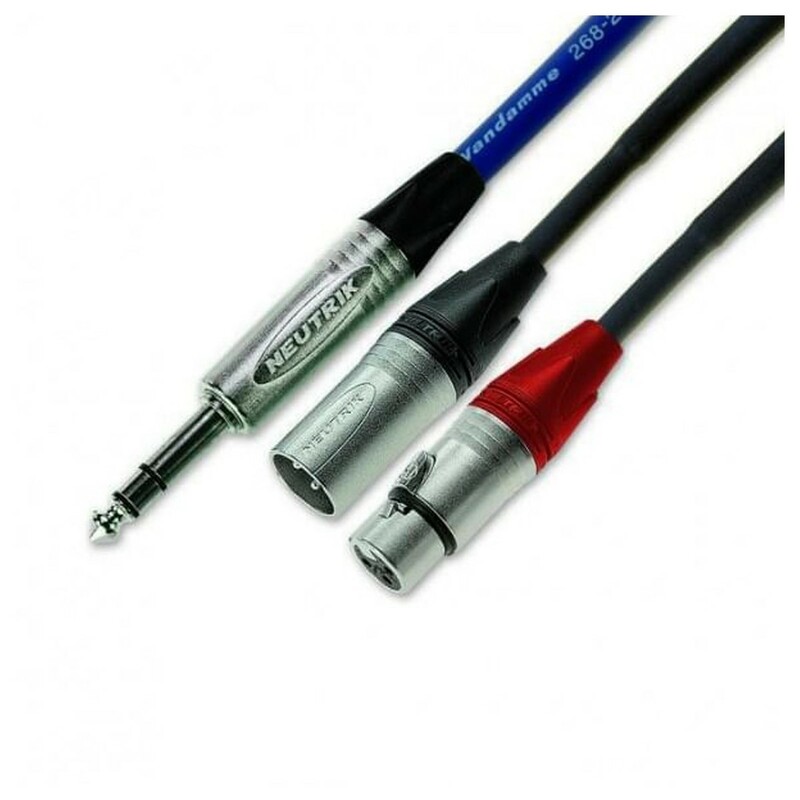 Van Damme's industry-leading Blue Series Studio Grade 2-Pair cable connects a Neutrik NP3X stereo jack to two Neutrik XLR connectors (one male and one female). This high-performance cable has been intelligently designed to provide you with the ultimate in sonic transparency with extreme flexibility. Whether you're on stage or in the studio, Van Damme Cables give you performance you can trust.